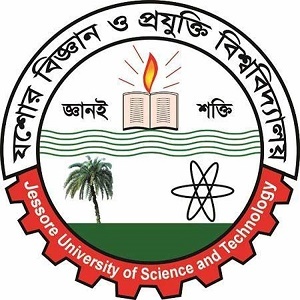 Jessore University of Science and Technology Admission Notice & Apply Process 2015-16. Jessore University of Science and Technology Admission test exam date has already announced. JUST Admission Test Will Be Conducted from 20 November, 2015 to 21 November, 2015. The admission exam result will be published on 21 and 22 November 2015. All information about circular and admission notice you found in this official website www.just.edu.bd. Here we are provide JUST Admission Notice 2015-2016 Session. JUST Admission Apply Process: To apply the JUST admission exam you have to use TELETALK prepaid operator. Reply from Teletalk: MD. Ariful Islam, Your PIN IS 12345678. Pay Taka As Application Fee Through. JUST Exam Policy: JUST admission test exam will be fully MCQ based. It is 80 marks exam. Applicants will get 1 mark for every correct answer & 0.5 marks will cut down for every incorrect answer. Time duration is 1.30 hours. You can download JUST Admission Notice 2015. JUST Admission Exam seat plan: JUST admission test seat plan will not publish. It will publish after finishing the online application process. All details information and also seat plan will publish in official website. JUST Admission Notice 2015.